"No question, whoever’s on the first flight…brave. Brave." 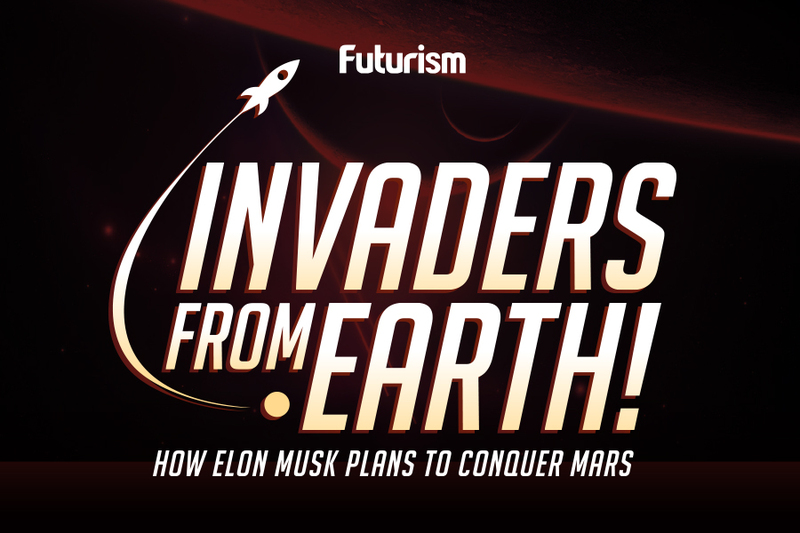 At the ISS R&D conference today, Elon Musk provided some much-anticipated updates on SpaceX’s upcoming manned mission to the Red Planet, explaining that the trip hinges on the success of the company’s Falcon Heavy. Once it launches this year, the Falcon Heavy will be the most powerful operational rocket in the world. It will be able to lift more than 54 metric tons (119,000 lbs), which is twice the payload of the Delta IV Heavy at one-third the cost. Developing the rocket wasn’t easy. In fact, Musk says it was “way, way more difficult” than SpaceX originally anticipated. Problems with initial launches won’t be due to any inherent flaws with the rocket itself, however; they’re just part of the process. “Falcon Heavy’s going to be a great vehicle. [There] just isn’t a lot you can test on the ground,” Musk noted. Other “brave” SpaceX explorers will eventually be able to enjoy a trip aboard the company’s Crew Dragon, also known as Dragon 2. Thus far, the Dragon spacecraft has only been used to transport cargo, but the design is being modified to support crewed mission. In fact, the Dragon 2 could even eventually carry Musk, who replied, “I would like to at some point. Assuming things work out, yeah, maybe in three or four years,” when asked whether he’d like to take a ride to the International Space Station (ISS) and back aboard the craft. Also in the works for the Crew Dragon are orbital launches and testing of its automatic docking abilities. Currently, in order for the Dragon to attach to the ISS, the space station’s robotic arm has to be used. Not of much importance, according to a comment by Musk, is refining the Dragon’s 2 purposive landing capability (i.e., descending using retrorockets vs. a parachute) as he claims it’s no longer a requirement for landing on Mars. Some of the biggest players already in the race to build a Moon base hail from China and Europe, and their respective space agencies have announced that they are engaging in international collaboration to realize a “Moon Village” vision. Whether Musk will beat them to it remains to be seen. This trickle of small updates will do little to pacify those eager for more details on Musk’s mission to Mars. That information is likely to arrive in September in the form of a revision to his detailed plan for making humanity a multi-planetary species. The efforts of SpaceX are now more vital than ever, given NASA’s recent admission that they won’t be the ones to get us to the Red Planet, but perhaps the plan will include the announcement of a NASA/SpaceX collaboration?